The Accordion fold is often one of the first paper folding techniques that children learn. 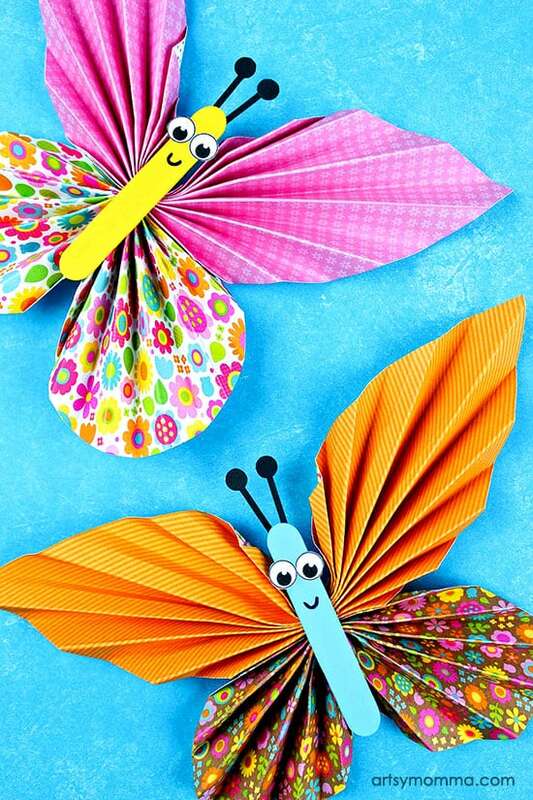 As a child, much time was spent making and decorating paper fans but there are other fun paper craft that can be made using the accordion fold. 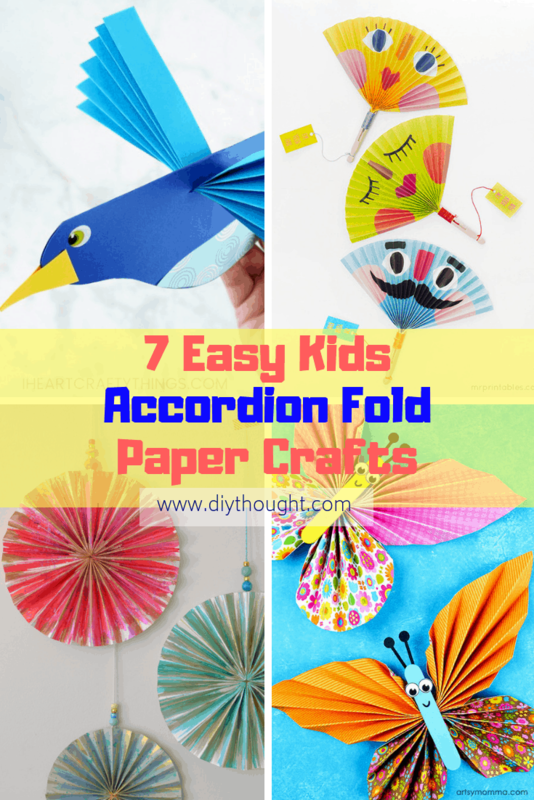 Today we have found 7 easy kids accordion fold paper crafts which are certain to keep kids busy! 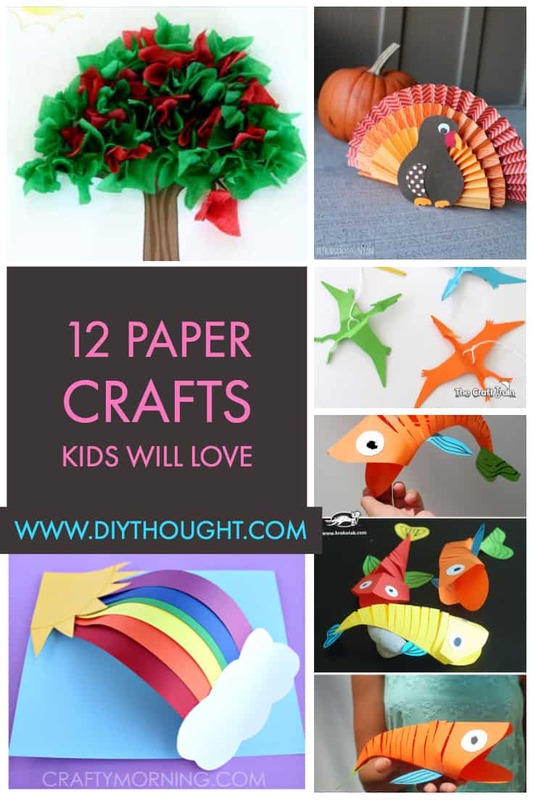 These super cute paper fish are easy to make and a fun craft for kids of all ages. Head over to Krokotak to find out more. 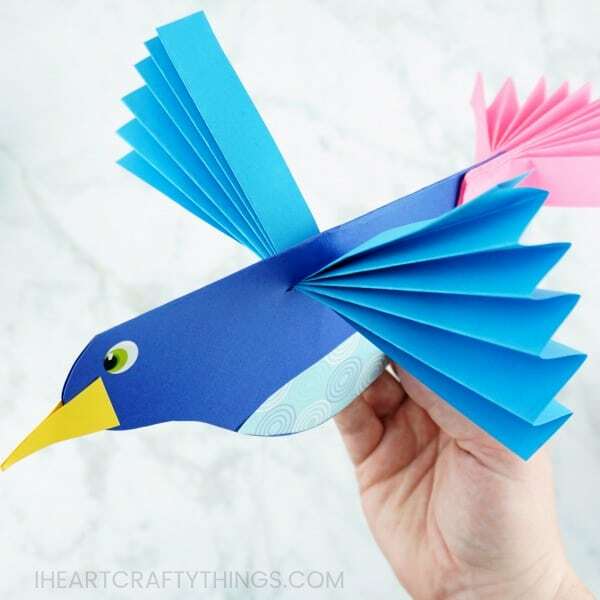 This colorful accordion fold paper bird craft is a perfect compliment to learning about birds. 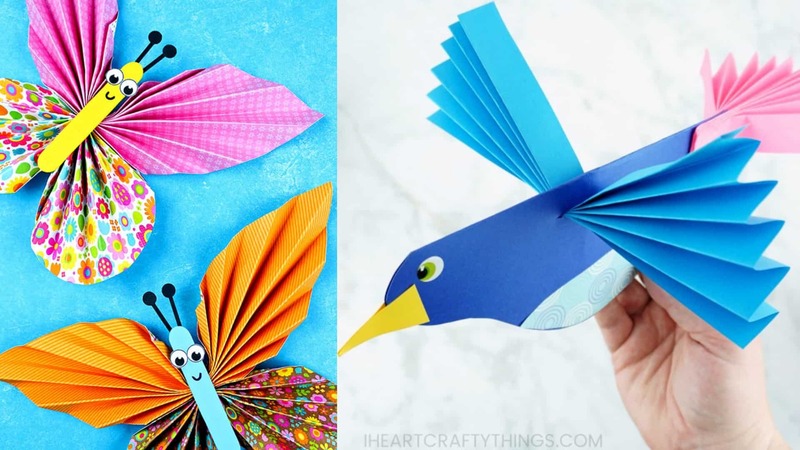 After making their colorful bird craft, kids can enjoy flying them around all afternoon! Visit I Heart Crafty Things to get the full tutorial. 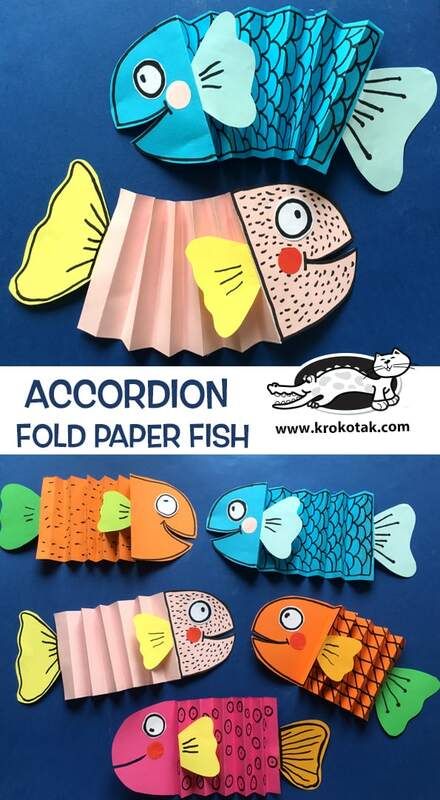 This traditional accordion paper folding craft will bring back memories. Many will have experienced the joy that making a simple paper fan brings. 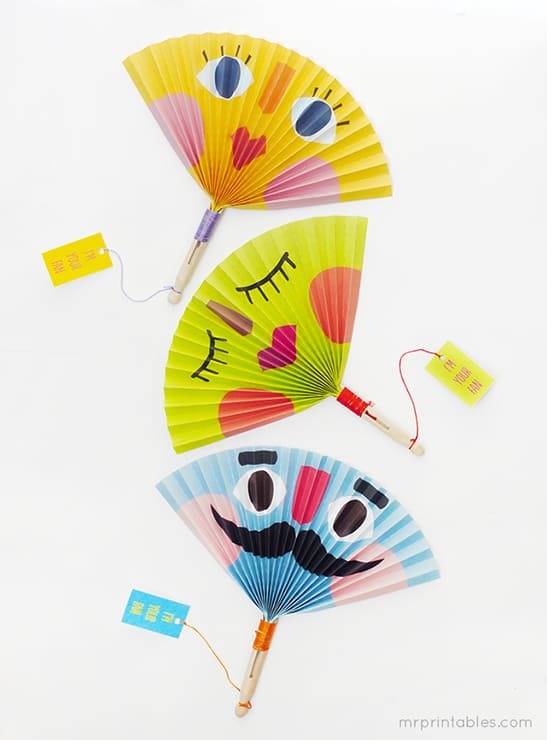 Get this fun printable over at Mr Printables or transform a drawing into a cool fan. 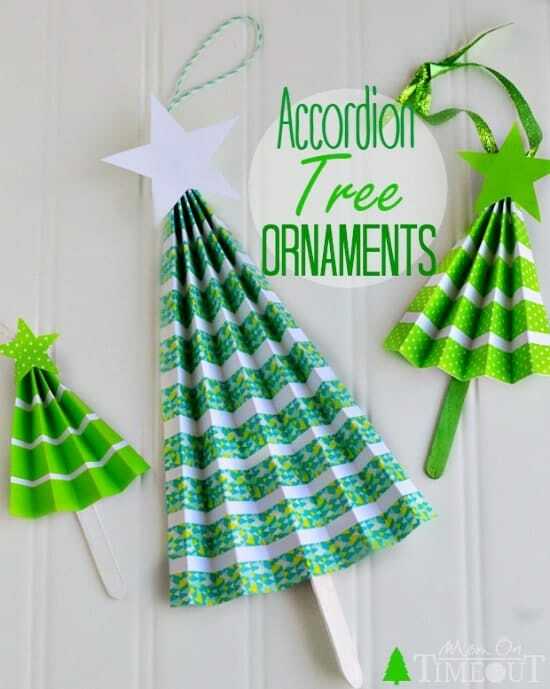 These Christmas tree ornaments are simple to make and will look wonderful on your tree this year! Learn how to make them at Mom On Timeout. 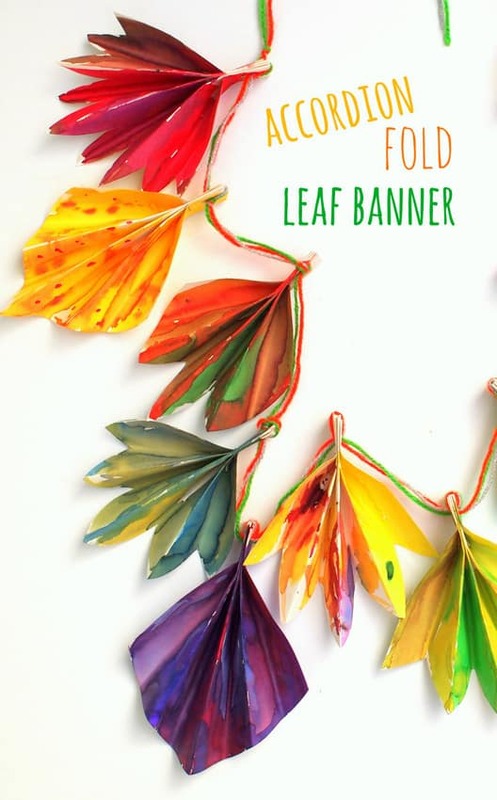 Create and then decorate using this adorable accordion leaf banner. There is nothing quite as nice as having homemade decorations displayed proudly in the home. Click here to read the full tutorial. These have got to be some of the most beautiful butterflies around! It would be super cute to have a wall decorated with them. Visit Artsy Momma to find out more. So much fun to make and display. 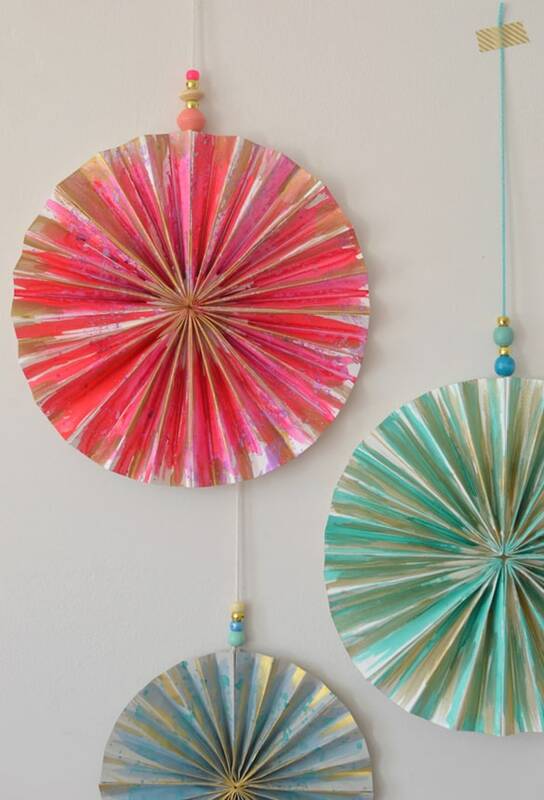 Kids of all ages will adore painting these stunning pinwheels. Follow this link to see how they are made.